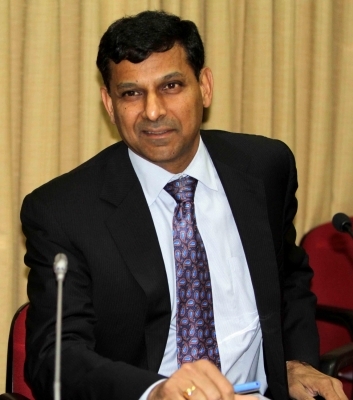 Washington, Oct 31 (IANS) Former Reserve Bank of India (RBI) Governor Raghuram Rajan will be an apt pick to head the US Federal Reserve, global financial magazine Barron’s has said. “If sports teams can recruit the best talent from around the globe, why not central banks?” an article in Barron’s magazine asked, as it pitched for Rajan as the next chairman of the American central bank. US President Donald Trump is expected to soon announce a successor to Federal Reserve Chair Janet Yellen, whose term will end early next year. “Nowhere on the short list of potential candidates to lead the Federal Reserve is the current star among the world’s central bankers — someone who oversaw a sharp drop in inflation, the stabilization of a currency and a 50 per cent jump in stock prices,” the article stated. There are precedents for central banks to be headed by non-citizens such as Canadian-born Mark Carney at the Bank of England, the article said. It said “nobody is touting Rajan for a Fed post although he had been mentioned as possible Nobel laureate in economics”. In 2013, Rajan became the RBI head at a time when the rupee was sliding and prices were soaring. Despite his success in crushing the double-digit inflation, he did not get a second term. He also warned against Modi’s demonetisation plan late last year when much of the nation’s currency was withdrawn from circulation as an anti-corruption measure. Now Rajan is back at the Booth School of the University of Chicago where he had taught until 2003, when he became the youngest chief economist and director of research at the International Monetary Fund and the first non-Westerner to hold the post. He also predicted a financial crisis at an annual gathering of economists and bankers in the US in 2005.